The deadly toll of terrorism around the globe has jumped nearly 800 percent in the past five years, according to an exhaustive new report that blames the alarming expansion of Islamist groups across the Middle East and Africa. The nonprofit Investigative Project on Terrorism found that an average of nearly 30,000 people per year have been killed by terrorists since 2010, when terrorism's death toll was 3,284. The authors of the study, which tabulated the numbers through the end of 2015, say that the exponential increase shows two troubling trends: More attacks are happening, and they tend to be deadlier than ever. "Everyone has known that terrorist attacks have generally been increasing yearly since 9/11," Steven Emerson, executive director of IPT, tells FoxNews.com. "But the magnitude of the increase of the attacks surprised us, especially in the past five years. Even if you look back at the annual reports issued by the most senior analysts in the top five intelligence and counter-terrorism agencies, there is not one report that predicted or forecasted that we would likely see such a massive escalation of attacks." The study says that the rise is due, in part, to the fact that Islamist terror groups are operating in more countries than ever, especially in the Middle East and Africa. ISIS, which split from Al Qaeda in early 2014, now has a presence or affiliation in several Middle Eastern countries, Africa and Southeast Asia. In addition to ISIS, groups like Boko Haram in Nigeria and Al Shabaab in Somalia have been on the rise in the last few years. The Taliban has been resurgent in Afghanistan and Pakistan, where it took responsibility for Sunday's Easter attack on Christians in Lahore; Kurdish-affiliated groups have been blamed for bombings in Turkey; Palestinian terrorists have waged at least two uprisings in Israel and Al Qaeda has continued to be active in Syria and Yemen, among other locations. The terror groups, particularly those in the Middle East, have new access to deadlier weapons, which they have used to destabilize governments and terrorize citizens, said Emerson. He cited the descent of Libya and Syria into civil war and the willingness of Iran, Russia, North Korea and Qatar to provide arms to terrorist groups as reasons for the increased potency of terror attacks. IPT's report used data collected by the University of Maryland's Global Terrorism Database. Looking at various intervals following the 9/11 attacks, and sorting out deaths caused by clear acts of terrorism -- not simply war involving known terrorist groups -- IPT found annual terror deaths have jumped 774 percent since the 2007-11 average. '[The numbers] are striking when you take into account where the numbers were at the beginning period," said Pete Hoekstra, who chaired the House Intelligence Committee when he represented Michigan in the U.S. Congress. "I don't think people have grasped how significant these [death toll] numbers are." Hoekstra, an IPT fellow, helped the IPT analyze data from four separate time periods, between 2001-2015. From 2001-2006, there was an annual average of 2,508 terror fatalities around the world. That number rose to 3,284 between 2007 and 2011. During 2012-2013, the annual average tripled to 9,537, and, in the past two years, that number tripled again, raising the death toll to a staggering 28,708 per year, making it the current annual average. The U.S. has had success fighting individual terror groups, including Al Qaeda, but when one is suppressed, others rise, said Emerson. What is needed is a comprehensive approach targeting the ideology, he said. "There has never been a U.S. or allied strategy to go after radical Islam," Emerson said. "There have been, however, strategies to go after specific groups like Al Qaeda or AQAP or ISIS. But these are all subsets of radical Islam." The IPT analysis shows that the growth in terror-related murder is not only attributable to the emergence of ISIS, but also to a wider theater of operations for terror groups overall. While the Islamic State is responsible for at least 10,780 deaths since 2013, the rise of other extremist groups like Boko Haram and Al Shabbab in Africa has accounted for tens of thousands of terror deaths in the past five years. "It's clear that they [terror groups] are focused in the Middle East and in Africa," Hoekstra said. "And it's in many of the countries where the U.S. has been involved. They have all become failed states." Alarmingly, IPT expects the wave of terror to continue to grow in 2016 and beyond. Analysts see continued violence in the trouble spots throughout Africa and the Middle East, with conflict spilling over into Jordan, Turkey, Saudi Arabia and Lebanon. They also predict that Asia will see more terror attacks as countries like Thailand, The Philippines and India are perceived as soft targets, and that due to the migrant crisis, violence in Europe will increase over the next two years as extremists continue to exploit the immigration system throughout the EU. 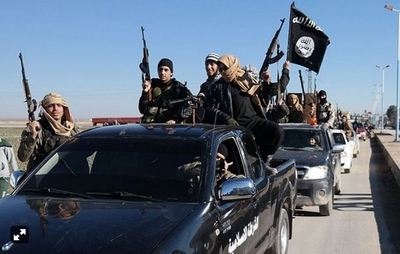 Ironically, success in Iraq and Syria could lead to an expansion of ISIS' footprint, he said. "With ISIS losing large swaths of territory as well as key commanders, its center of operational gravity definitely appears to be shifting to Europe, where it can recruit among the more than 30 million Muslims who live in Europe," Emerson said. "Add to this mix the fact that thousands of mosques in Europe are controlled by Salfists, Wahabists and the Muslim Brotherhood – which indoctrinate their followers," he said, "and you have a future recipe for a massive increase in Islamist terrorist violence."